L'shoneh toyveh tikoseyvu! We wish you and your loved ones a sweet New Year! 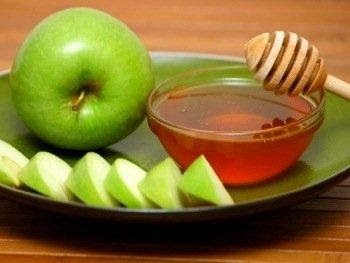 Rosheshuneh (Rosh HaShanah) begins Sunday evening, September 13. Don't wait until Yumkipr (Yom Kippur) t'shuva (repentance / returning) to think about returning to Yiddish and studying ourmameloshn (mother tongue). 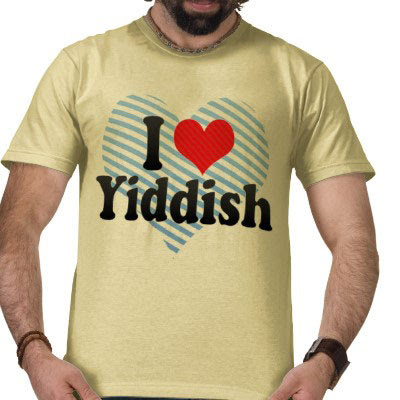 Ten classes in Yiddish language or literature are described below! 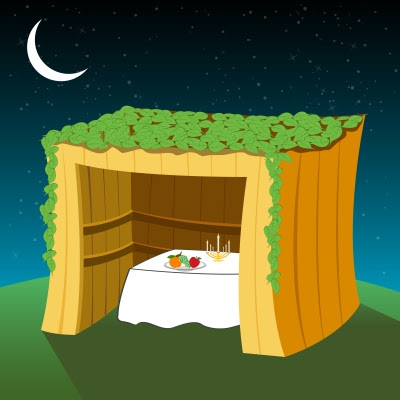 And as you celebrate Sukes (Sukkot), the Festival of Booths, beginning the evening of September 27, think about KlezCalifornia's next FESTIVAL OF YIDDISH CULTURE November 7 - 9 at the JCC East Bay in Berkeley!We promise you a great time! On Saturday night we present our firstCabaret & Cabernet featuring some of the Bay Area's greatest entertainers. Sunday, enjoy your choice of eighteen workshops (in three sessions) for instrumentalists, singers, dancers, and anyone with a general interest in Yiddish culture, followed by a klezmer performance and dance party, with music by Veretski Pass and the other instrumental teachers, klezmer dancing led by Bruce Bierman, and refreshments! Put the Festival on your calendar RIGHT NOW so you don't miss it! The Bay Area is fortunate to have so many Yiddish teachers and Yiddish classes. Below, read about courses in Berkeley, San Francisco, Stanford, Morgan Hill, Palo Alto, and Santa Cruz (listed in order of the date the class begins). Introduction to Yiddish Language, Literature, and Culture, taught by Jenna Ingalls. Mondays through Fridays, August 26 through Fall semester, 11:00am-12:00noon. The Feminine Voice: 20th-Century Women's Yiddish Poetry, taught by Yael Chaver. Every other Friday, starting September 11, 3:00-5:00pm. Sponsored by Workmen's Circle/Arbeter Ring and KlezCalifornia. Text (Sheva Zucker's "Yiddish: An Introduction to the Language, Literature and Culture," Vol. 1) can be purchased from the Yiddish Book Center or Amazon. No charge for the class. More info and to rsvp: roshnman[at]yahoo.com. Beginning Yiddish, taught by Yankl Levitow. Mondays and Wednesdays, starting September 21, 2:00-3:30pm. Introduction to Yiddish, taught by Yankl Levitow. Thursdays, starting October 8 for ten sessions (no class 11/26), 7:30-9:30pm. Mondays, starting October 12 for ten sessions, 7:00-9:00pm. Beginning Yiddish: A Lek (lick) and a Shmek (taste) of Yiddish, taught by Ken (Kalman) Blady. Mondays, starting October 12 for nine sessions (no class 11/16), 7:00-8:30pm. Mondays, starting October 12 for ten sessions, 7:15-9:15pm. Intermediate Yiddish, taught by Ken (Kalman) Blady. Wednesdays, starting October 14 for nine sessions (no class 11/25), 7:00-8:30pm. NOTE: Introductory Yiddish will be offered by Yankl Levitow in the Winter Quarter at University of California, Santa Cruz. Auditors are welcome. · Vu klerstu tsu foren/besukhen neksteh yohr? Farvus? · Dertseyl unz fun a katz oh hunt du host gehat - di numen un epes interesant fun di katz oh hunt. · Vus tsit dir tsum yidishkayt? Farvus blaybstu a yid? Brengt a nash oyb du kenst! No charge. More info: 415.789.7679,flisik[at]klezcalifornia.org. Rossmoor Jewish Community Chorus, led by Achi Ben Shalom. Repertoire includes Yiddish songs. Fee: $100 per ten-week session. More info: 510.528.8872, mail[at]nigunim.org. Majorly Minor, with Naomi Zamir and others, playing Eastern European and klezmer tunes. Workmen's Circle/Arbeter Ring's secular Rosh Hashonah celebration, which will include Yiddish songs. Contribution: Sliding scale $10-$25, no-one turned away. More info and reservations:415.566.7235, dmscott01[at]yahoo.com. Hailed as “a real treat for open minds” and an “alleged klezmer band,” Big Galut(e) brings its mix of folk, jazz, klezmer, classics, and more to the Poppy. This East Coast quintet performs music ranging from Argentine Yiddish tangos and Renaissance Jewish sonatas, to Mahler compositions with a klezmer sensibility. Mondays, starting September 28, 7:30pm. Nigunim Community Chorus new season, led by Achi Ben Shalom. Songs in Hebrew, Yiddish, Ladino, and English, arranged for two, three, and four parts. New singers encouraged to audition. Fee: $150 per ten-week session. More info: 510.528.8872, mail[at]nigunim.org. Nigunim Marin Jewish Community Chorus (first meeting/ sing-along) led by Achi Ben Shalom.Traditional and contemporary songs in Hebrew, Yiddish, Ladino, and English, arranged for two, three, and four parts. Fee: $180 per ten-week session and a concert. More info: 510.528.8872,mail[at]nigunim.org. (in Yiddish) on Israeli television December, 1980 (thanks to Bruce Bierman). , based on Rabbi Edward Zerin's book, "A Tribute to my Teacher, Rabbi Simon Krinsky." Part One: Lider Fun a Kabtsn,composed by Dr. Michael Isaacson, performed by Cantor Roslyn Barak, and accompanied by Ronnie Michael Greenberg. Part Two: From Kabtsn to Beloved Teacher: Yiddish and English Poetry Readings by Rabbi Edward Zerin. by the Dave Tarras Trio which also featured a youthful Andy Statman and Zev Feldman in their public debuts, plus Yiddish singers Feigl Yudin and Ethel Raim.
. Michael serves on KlezCalifornia's Advisory Council. Tuesdays, starting October 6, 7:30-9:30pm. Fridays, starting October 9 for six weeks (not 10/16), 10:00am-12:00noon. (click on Fall 2015 brochure). Sunday, October 11, 4:00-7:00pm, Sharon Bernstein sings Yiddish melodies paired with the Broadway tunes they inspired. Event includes hors d'oeuvres, home-cooked dinner, and desserts. Tickets: $45. More info and reservations: 510.684.5580. Wednesday, October 28 (4th Wednesday). 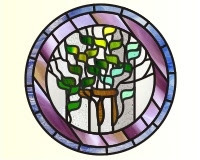 Carmen and Harvey Gotliffe: To honor all of our friends through the years at the Silicon Valley Holocaust Survivors Association, who taught us about the importance of preserving both the rich Yiddish culture and the beautiful Yiddish language. Barbara Kuperstein: In honor of my parents Joseph and Sara Kuperstein who were the most wonderful parents anyone could ask for. They spoke Yiddish to me and helped me cultivate a love for this incredible language. 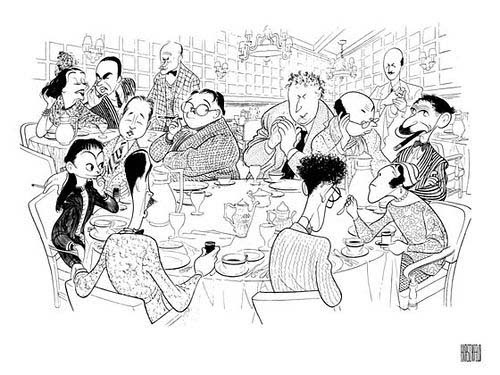 They taught me how to think and speak in Yiddish. They taught me how to be a mentsh. I am thankful and grateful to them.